Walking the docks at recent yacht shows, getting on board the boats and attending press conferences at the various events presented us with a few trends that we found noteworthy. For example, if they haven’t done so already, every shipyard is coming out with a durable explorer-style vessel, “winter gardens” appeared on several new yachts, and green technology continues to grow. 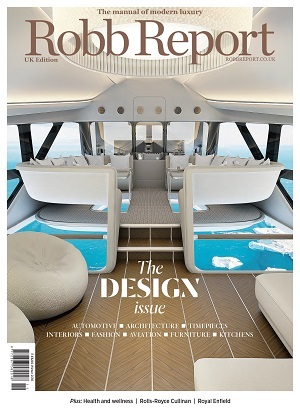 Here are a few examples of this year’s yachting trends. If they haven’t done so already, every shipyard appears to be coming out with its own rendition of the durable explorer-style yacht. One example is the 141-foot explorer from Italy-based shipyard Baglietto. Penned by designer Santa Maria Magnolfi, this opulent yet discreetly bulletproof craft was created to sail the globe. The Italian yard CRN has three AlfaRosso explorer-style vessels underway by Francesco Paszkowski Design—148-, 164-, and 180-foot models—as well as plans from Zuccon International Project (259-foot CRN 135), Nuvolari Lenard (203-foot CRN 137) and Omega Architects (203-foot CRN 138). The 230-foot Project Crystal from the Dutch firm Mulder Design will sport a rugged Ice Class hull and accommodate 14 guests. And moored to the docks in Monaco, the steel-hulled 500EXP from Sanlorenzo had its public launch last Autum. Though the exterior looks like it can handle anything Mother Nature throws its way, the interiors are fitted with tasteful Italian design. The “winter garden” included on a few new yachts is something Robb Report first noticed several years ago as a feature on board Abeking & Rasmussen’s Cloudbreak and Feadship’s Joy. On land, the term refers to either a garden in which hardy, frost-resistant plants may grow or a conservatory where flowers and greens can thrive during the colder months. The yachting world gives the concept some special tweaks for sea. The 167-foot Irisha, from Dutch builder Heesen, replaced its main saloon with a garden—with no plants in sight. Instead, the room opens to the elements on three sides and features contemporary outdoor furniture and rugs. Tankoa Yachts’ recent launch, Solo, does include greenery—of the succulent variety. It feels more like a conservatory, with large windows and a seating area. On board RJ, a new A105 from Arcadia, the owner chose to dedicate his glass-walled and -ceilinged garden (standard on Arcadia yachts since 2005) as a games and play space. Green technology in the marine sector continues to grow. At 350 feet, Oceanco’s Black Pearl is the largest sailing yacht in the world—and apparently, one of the most environmentally friendly. Its technology includes DynaRig carbon masts, solar power, a hybrid-propulsion system and onboard hacks such as waste-heat recovery, all to propel it across the oceans with reduced emissions. One look at the A105 from Arcadia Yachts and you just know it’s eco-friendly; 387 square feet of solar panels make up the superstructure and produce 4.2 kW, used to power the lights, appliances, pumps, and electronics. Nobiskrug presented a model of the soon-to-launch 262-foot superyacht Artefact, which uses solar panels, a battery-storage system, wastewater recycling and a high-efficiency/ lower-emissions ABB Pod propulsion system. The Italian builder Perini Navi also revealed its line of hybrid sailing yachts. Called E-volution, the line offers models that contain a hybrid propulsion system with lithium batteries to power electric engines, reducing the use of fuel-burning engines and generators. Totally on trend, Tankoa’s Solo is so highly efficient and environmentally friendly it comes with an Environmental Management Plan manual. And the Waterecho superyacht concept—designed by Espen Øino—from the shipyard VSY will be used by technological innovator Siemens and the maritime classification entity Lloyd’s Register as a pilot project on which to utilise—and assess for safety and feasibility—one of the first applications of zero-emissions hydrogen fuel cells in yachting.